Lisa was conservatively raised in a Catholic family in no-where middle America, where excitement is scarce and dreams are for sleeping. Little did she know, at age thirteen, she would suddenly find herself on a totally different path. Through an unlikely chance meeting of a fellow classmate, she's surprisingly mesmerized, almost consumed, to befriend a girl who is obviously from the other side of the tracks...the cool side. Lisa does whatever she has to just to be accepted into this small club of coolness. Little did she realize, she was signing up for a lot more than social status. The two best friends find themselves innocently taking their relationship to a foreign level neither had experienced or saw coming. A rollercoaster ride littered with choices and challenges Lisa never fathomed facing, especially in no-where middle America. She will find out what she is made of as she faces the consequences and struggles that come along with going against the grain. Throughout their six year relationship, you will witness a touching story of human nature at its best...and at its worst. Showing just how far the human spirit can be challenged and pushed to a point where your “fight or flight” instincts naturally kick in. Struggling just to survive in a world where you are not like everyone else, but at the same time you really are. The daily struggles - both internal and external - are exhausting, yet necessary in their quest for one simple human need....love. Finally breaking through all constraints that hold them back, reaching levels of one-ness that few actually obtain in a lifetime with their partner...only to find once they've reached that special place, it's not quite the right fit...for one of them, at least. This contemporary story, told in the voice of the teen that lived it, will lead the reader through highs and lows, giving insight to the everyday challenges of the socially unaccepted, which will no doubt leave them rooting for the underdog. A true story of human resilience and the power of love...plain and simple. *Please be advised, this memoir is real, honest, and raw. If you're looking for your typical 'sterilized' read, I'm not your girl - but if you're looking for a read that is written from the heart, certain to impact you on a human level, follow me! Have I got a story for you! 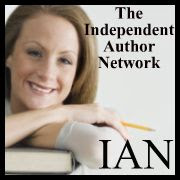 SMASHWORDS - $2.99 ALL ebook versions! Book Trailer now on YouTube! 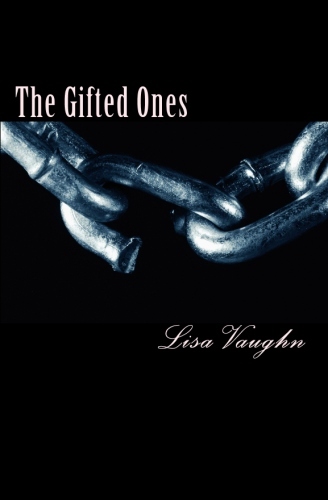 The Gifted Ones Book Trailer! INTRO CHAPTER ~ SNEAK PEEK!! The first words spoken were my mother's. "What the hell is this? ", she said sternly, in a low voice I hadn't heard before then. I felt the lump in my throat swell, blocking off my ability to speak. My mind was racing. What was I going to say? Desperation took over. In a lame attempt to get out of this tightening noose, I started to laugh. They looked at me as if I were insane, and frankly, at that moment, I truly believe I was. I opened my mouth and started to explain that this was not MY diary, but writings for a play I had been working on for school. It wasn't a true story, or even about me actually. I was abruptly cut off from my babbling web of deceit. Apparently, Peggy had had enough of my deceiving lies and wanted to know the truth. My immature mind raced as I searched my creative lobes for a more convincing route, but there was nothing more I could say. It was all right there in black-and-white, ratting me out like a two-faced friend. My beautiful writings of my incredible journey, my unbelievable love, sitting there on the family table right before my eyes...and theirs. Continue the journey with me to discover my fate and the very important message many are taking away from this emotionally charged memoir. They laugh, they cry, they never forget my story...find YOUR meaning. Available on Smashwords and Amazon~Links above. I'm a self-proclaimed hippie chick that enjoys living easy with a beach in my background. An artist practically from birth, I am always looking for a creative outlet to express myself... 'The Gifted Ones' just happens to be my latest creation of self expression. "I'm just a chick with a story... everyone has one, this just happens to be mine." Are you still with your 'first' love? FIND MY PAGE-JUST CLICK ON PIC!